A red wine, aggressive in nature, it is crisp, clean and spicy with a subtle black pepper flavour. This is the ultimate sangria base. A perfect mate to Italian food. This package contains 10 litres of juice and concentrate. 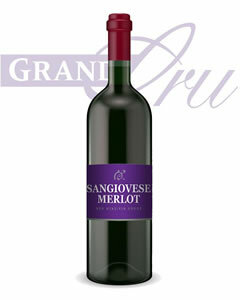 It requires the addition of 13 litres of water to make 23 litres or 6 1/2 US gallons of wine. Your kit is ready to use and includes yeast, finings and stabilizer. You will also need winemaking equipment, bottles and corks. 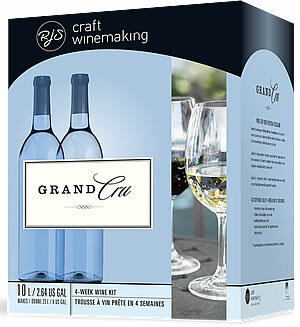 Grand Cru brings together the advantages of varietal grape juice with the convenience and value of a 4-week wine kit. From the first swirl to the final sip, you will truly appreciate the enhanced bouquet and aromas that Grand Cru wine kits offer. Whether you seek full-bodied and hearty or light and refreshing wines, you’ll surely discover a style to suit your individual taste. In just 28 days, you will have a wonderful, ready to enjoy wine of character and distinction that will gain in stature with further aging. We are proud of these wine kits, and are convinced you’ll savour of the marvellous wines you will create with them.